What is “LOMO”? – Soso goes Lomo – my analogue experiments. Lomography has turned into a new cult-ish style of photography. When someone says they’re “into lomo” or “taking lomo pictures” they probably mean they are taking photos with one of the many different lomography cameras – which give you blurry, soft focus pictures which are very hit or miss (I clearly still need a lot more practice to be honest – mine are all more miss than hit). BUT – when are a hit however they are absolutely gorgeous. I am a huge fan of lomo pictures and absolutely love them! LOMO (Russian: ЛОМО́) or Leningrad Optical & Mechanical Union (Ленинградское оптико-механическое объединение) was originally founded in the USSR in 1914 and is a manufacturer of advanced optical instruments, medical equipment, consumer still and movie cameras, projectors, lenses, film editors, splicers, professional sound recorders for motion-picture production based in St. Petersburg, Russia. The word LOMO in popular use is however often used to refer to the Lomo LC-A camera and other LOMO branded consumer cameras; while the cameras have a large following around the world, the cameras themselves are a minor product for LOMO PLC. Today the original Russian LOMO makes military optics, scientific research instruments, criminological microscopes, medical equipment, and a range of consumer products. It produced the first Russian camera in 1930. Lomography however is the commercial trademark of Lomographische AG, Austria for products and services related to photography. The name is inspired by the original former state-run optics manufacturer LOMO PLC of Saint Petersburg, Russia —> the one just described above. LOMO PLC created and produced the 35 mm LOMO LC-A Compact Automat camera — which became the centerpiece of Lomography’s marketing and sales activities. This camera was loosely based upon the Cosina CX-1 and introduced in the early 1980s. In 1991, the Austrian founders of Lomography discovered the Lomo LC-A. As the company states, they were “charmed by the unique, colorful, and sometimes blurry” images that the camera produced. After a series of international art exhibitions and aggressive marketing work, Lomography signed an exclusive distribution agreement with LOMO PLC — thereby becoming the sole distributor of all Lomo LC-A cameras outside of the Soviet Union. 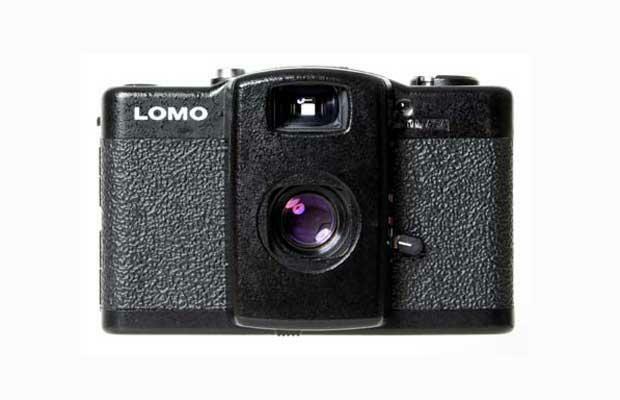 The new Lomo LC-A+ is manufactured in China.